You may have unexpectedly lost a tooth due to an injury, or perhaps you are facing the possibility of tooth extraction due to serious tooth problems. However, there is a probability you can have your tooth restored with immediate dental implants, which is a dental implant placed at the time of the tooth extraction. This will ultimately shorten the treatment time for a period of about two to six months. With immediate dental implants, there is no waiting period; you can have a missing tooth immediately replaced with immediate dental implants in a single and simple surgical procedure done under local anesthesia and you can get your dental implants in just one day. The benefit of immediate dental implants is that you can function with the new tooth normally and in the same day. This is the most advanced dental restoration procedure and is likely to dominate future dental implantation processes. Older implantation techniques may require more than five months for you to receive your new tooth, with some treatments going up to two years. Although it has taken numerous years for someone to discover a viable solution, Sargon Immediate Load Implant Systems provided the answer in 1990. From then on, dental professionals could insert immediate dental implants , solving missing tooth problems for dental patients. There is no other dental implant that offers the quick solution immediate dental implants system provides, because this innovative system not only gives patients a tooth at once, it also offers them a chance to have more natural looking teeth and gums than they could ever have imagined possible. 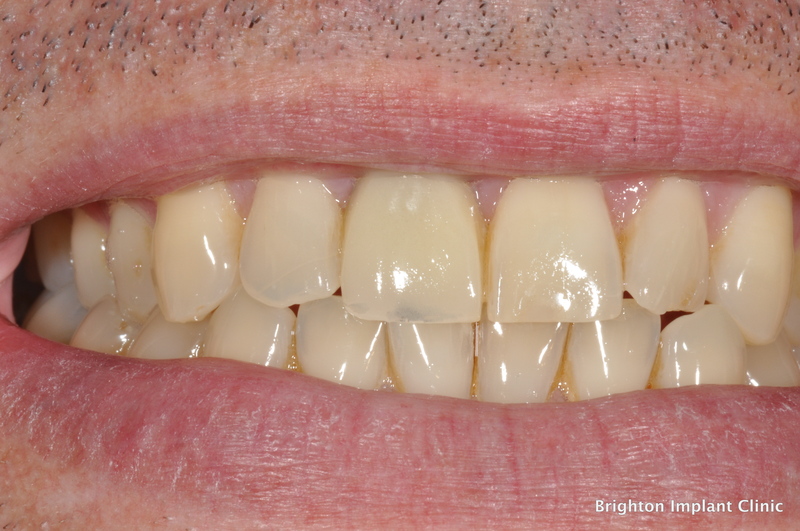 If you find yourself in the situation where you have lost a tooth, the expert dental surgeons at the Brighton Implant Clinic advises you go for a tooth implant as soon as possible. The reason behind going for an immediate dental implants is that after a few days, the gum will grow down into the socket and make it harder to put an immediate implant in place. In the same way, if you know that you are about to lose a tooth, the Implantologists advise that you talk to them before your tooth comes out, because doing so will maximize the possibility of an immediate dental implants. 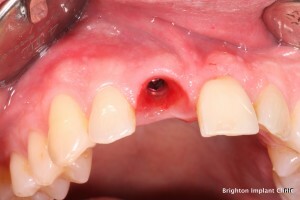 However, for successful immediate dental implants , the bone around the failing teeth should be intact and the gum surrounding the affected area must be infection-free. The oral surgeon will take x-rays and CT scans to evaluate the situation. They do this assessment during the first appointment and then consult with your general dentist or physician. If you meet both of these important conditions, it is possible to carefully extract the root and immediately put an implant directly into the tooth socket. Once the implant is sufficiently secure in the bone, the dental surgeon inserts a titanium post and puts a temporary crown over it. The temporary teeth look very natural and stay securely in place until the implant has healed sufficiently enough to replace it with the permanent crown. Other than the tooth functioning naturally after a short healing time, immediate dental implants are associated with very little discomfort and you will have a stronger, more permanent hold than with any other implant For more information based on Immediate Dental Implants Please feel free to Contact Brighton Implant Clinic or Call us on 0800 111 6623.